opposed to both petty nationalism and globalism. Europe awake and throw off your chains. Build a new system based on social justice. 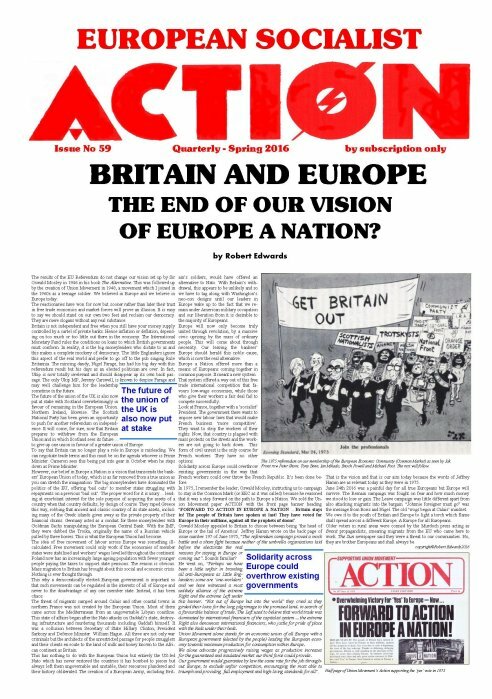 Link: Europe a Nation blog with more articles from European Socialist Action. Click here. Comments on anti-British sentiments. Click here. This website is created and maintained by Robert Edwards, a former member of Oswald Mosley's Union Movement in which he was West London Area organiser. This website is inspired by Mosley's post-war concept of a united Europe with its own government and independent of both America and Russia. A third force in the world with a new economic and social order. This new order would be socialist.